PreSet 3D Station - G & W Machinery Sales, Inc.
Presetting station for workpieces and electrodes. Borehole pattern in table prepared for EROWA tooling systems. 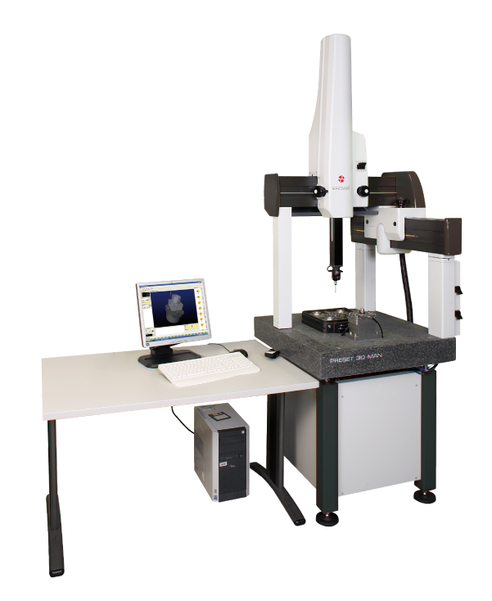 Set-up, presetting and measuring of electrodes and workpieces. CNC controlled measuring machine with boreholes in table. Prepared for various EROWA tooling systems. Measuring and presetting of electrodes and workpieces. With the motorized axis and the CNC control, checking of large quantities of electrodes is facilitated.